The Jewish Quarter has six surviving synagogues, as well as the Jewish Ceremonial Hall and the Old Jewish Cemetery. The Pinkas Synagogue, a 16th-century synagogue that is now a memorial to the victims of the Holocaust, is the second oldest surviving synagogue in Prague. 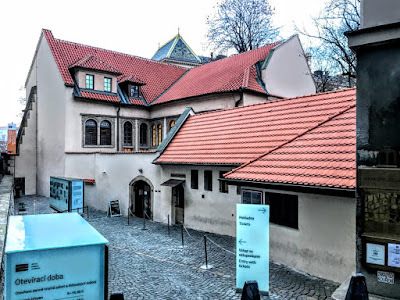 Its origins are connected with the Horowitz family, a renowned Jewish family in Prague. Archaeological excavations show that in 15th century the area around the site of the Pinkas Synagogue included several wells, a mikveh or ritual bath and houses. By 1492, one of those houses belonging to the of Horowitz family, the house U Erbu, had its own private house of prayer. The Horowitz family name that has its origin in the Yiddish name for the town of Hořovice (German: Horschowitz or Horowitz) in Bohemia. 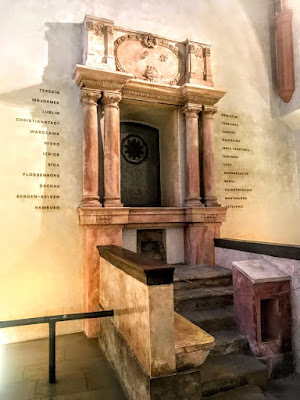 The patriarch of the family line is thought to be Aaron Meshullam Horowitz, the founder of the Pinkas Synagogue, who lived in Hořovice and Prague in the 16th century. He had eight sons who spread the family throughout Europe. The family later spread to the Middle East, the Russian Empire and the Americas. Today 50,000 people around the world – mostly of Jewish Levite ancestry – bear a variation of the Horowitz surname. The Horowitz family is a rabbinic family that traces itself back to the 12th century, and that includes some of the great rabbinic scholars of Provence and Italy in the 12th, 13th and 14th centuries. It is said they changed their Sephardic surname Benveniste to Horowitz when they moved to the town of Horowitz near Prague in the 16th century. Aharon Meshulam Horowitz decided to replace the house in 1535 with a synagogue for his family. The synagogue is probably named after his grandson, Rabbi Pinkas Horowitz. The architectural components in this building are in the Gothic and Renaissance styles. For example, the reticulated vault is in the late Gothic style, but its ornaments have Renaissance features and the portal is pure Renaissance. An annex in Renaissance style was added between 1607 and 1625, and so the synagogue was extended with a vestibule, a women’s section and a balcony. The annex was designed by Judah Tzoref de Herz, who was also the architect of the Maisel Synagogue. The floor of the synagogue is below the ground level so it has suffered repeatedly from floods and moisture. In the second half of 18th century, it was necessary to restore the aron-ha-kodesh or holy ark and the bimah or reading platform, which had been damaged by flood. Both were restored in the Baroque style. In 1793, Joachim von Popper, a successful businessman and communal leader, donated the wrought-iron rococo grille that still adorns the bimah. The grille is decorated with the emblem of the Jewish community in Prague – the six-pointed Magen David or Star of David with a conical Jewish hat. Radical steps were taken in 1860 to address the problem of floods. The floor level of the synagogue was raised by 1.5 metres. 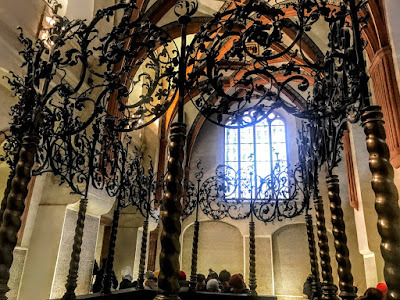 The baroque bimah as removed, the seats surrounding the walls in the traditional synagogue arrangement were replaced with church-like rows of pews, and the interior was now dominated by a pseudo-Romanesque style. However, less than century later, during reconstruction in 1950-1954, the original floor-level was restored, as well as the appearance of the synagogue. 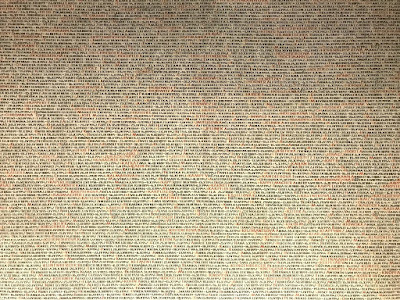 In the following five years, the inside walls of the synagogue were covered totally with the names and biographical dates of 77,297 Bohemian and Moravian Jewish victims of the Holocaust, the Shoah. 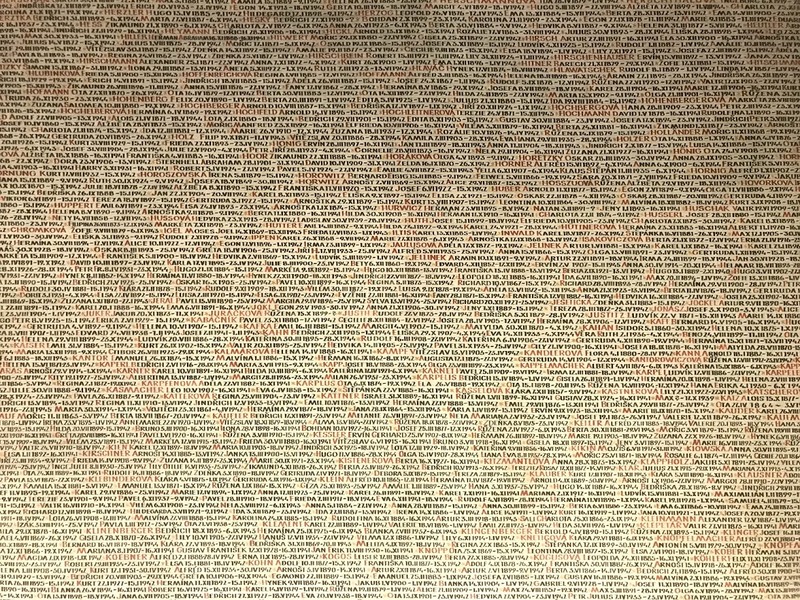 These names are arranged by communities where the victims came from and are complemented with the date of birth and death of each individual where these are known. The memorial was designed by painters Václav Boštík and Jiří John. It opened to the public in 1960, but was closed after less than a decade in 1968, after the Soviet invasion of Czechoslovakia – ostensibly because of the problems caused by moisture in the synagogue. 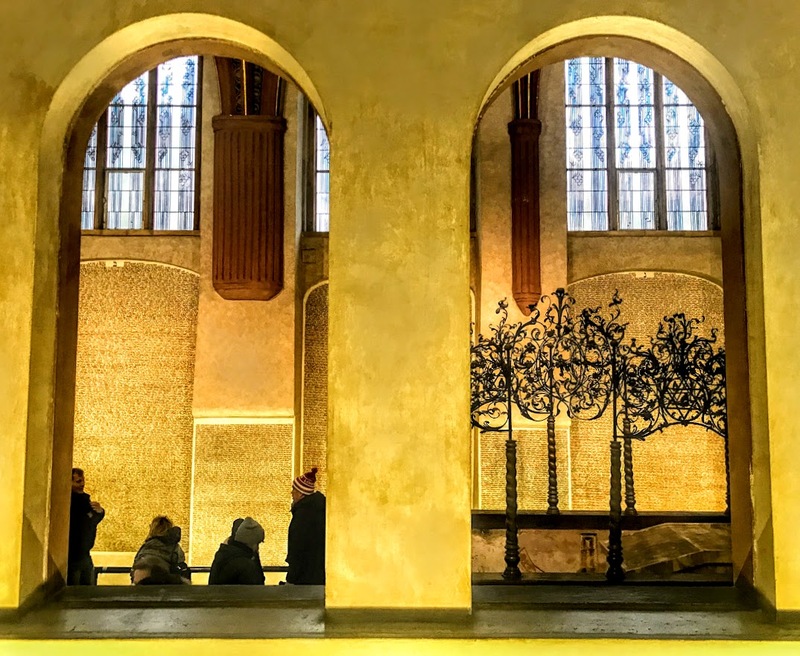 After the ‘Velvet Revolution’ in 1989, the synagogue was restored over a three-year period and opened to public. However, it took another three years to restore the inscriptions of the names on the walls that had been damaged by moisture in the intervening years. In 2002, a flood once again damaged the synagogue, but the inscriptions were restored once more. 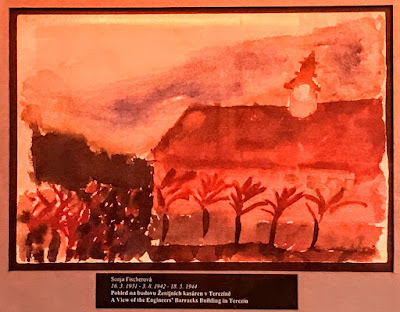 An exhibition on the first floor displays pictures drawn by children and young teenagers in the concentration camp in Terezín (Theresienstadt). The children were given drawing lessons and encouraged by Friedl Dicker-Brandeis (1898-1944), a painter who had studied at Weimar Bauhaus. Her experience at Bauhaus influenced her art lessons in Terezín. She encouraged the children to express themselves in drawing to grapple with their grim experiences, to recall memories from home and to express their dreams for the future. Their pictures offer a wide and varied description of daily life in Terezín and tell the many stories of these children. Most of these children, as well as Friedl Dicker-Brandeis herself, died in Auschwitz. These paintings and drawings are the only remaining witnesses to their lives – they survived because Friedl Dicker-Brandeis hid them in Terezin before she was deported to Auschwitz. After the war about 4,500 of these images were given to the Jewish Museum in Prague. 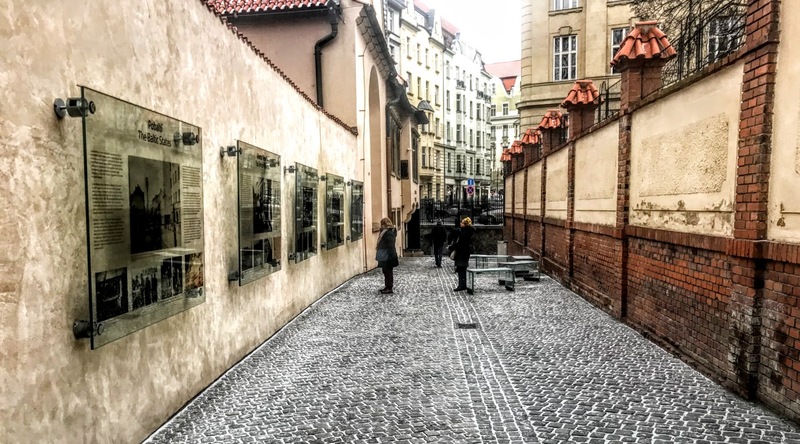 Today, the synagogue is administered by the Jewish Museum in Prague and commemorates the 77,297 Czech Jewish victims of the Shoah.